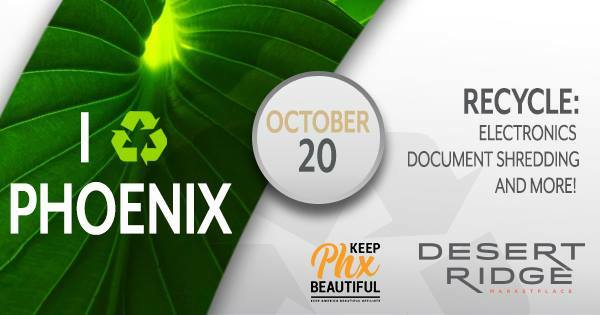 Join Keep Phoenix Beautiful, the city of Phoenix and Desert Ridge Marketplace for the semi-annual I Recycle Phoenix Festival! Don’t miss this one-stop recycling event! *Hazardous materials such as CRT monitors, CRT televisions, prescription drugs, oil, paint and chemicals are not accepted. Please look for the next Household Hazardous Waste event for details.